As a band they have drawn inspiration from traditional hard rock bands like Motorhead, Metallica and Black Sabbath who’s own Ozzy Osbourne was good friends with the band in their youth and owns a copy of one of their first ever demos. Their influences also go to the likes of the Cure, Bauhaus, Siouxsie and the Banshees and they are particularly inspired by many bands from oversees such as Rob Zombie in the US, Lordi from Finland and Nightwish from Norway. They especially love bands and artists who delve in the theatrical with music; bands like Lordi and artists like David Bowie who of course went through various dramatic transformations from Ziggy Stardust to the Thin White Duke. In terms of their fictional tale and their fight against artistic homogeneity they share a space with Daft Punk whose album ‘Discovery’ told that story within a futuristic cartoon context. 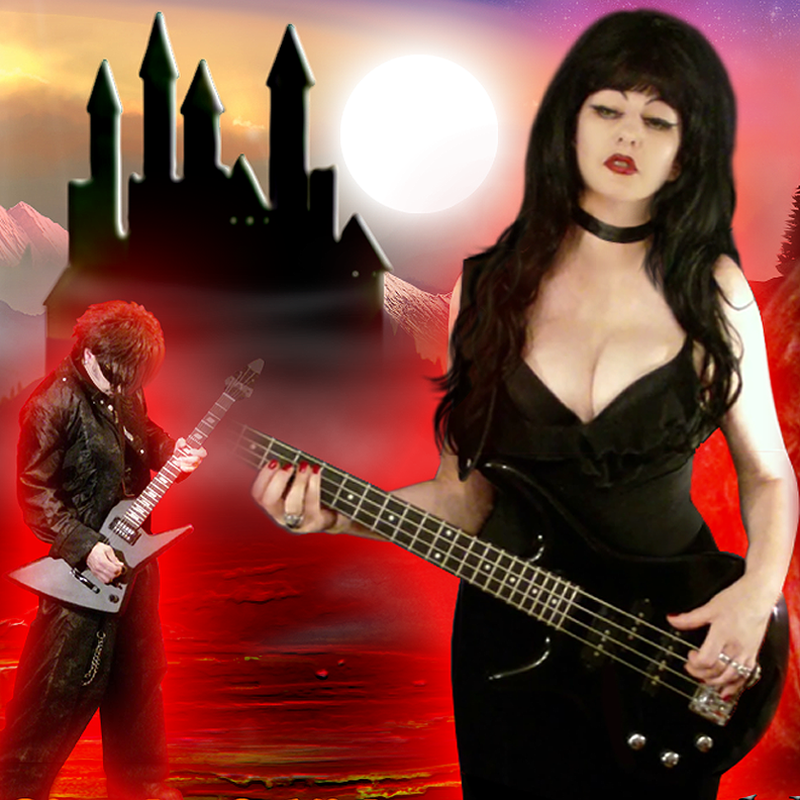 They hope to take the enjoyable side of heavy rock and gothic culture and to create their own fictional world which can by inhabited by them and their fans – musical reactionaries have been strictly exiled!